As Rick Webb was a co-founder of the Barbarian group, he could explain the risk the company took to transform the site into a blog collection of all interested employees. 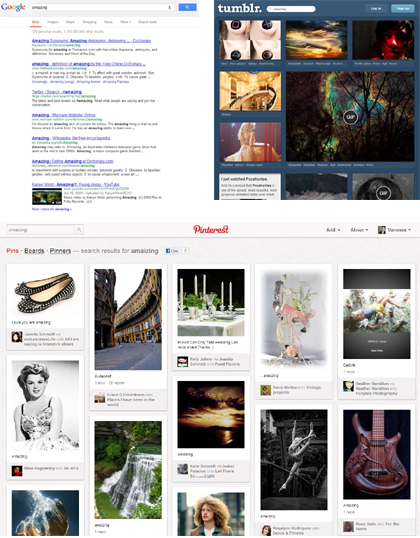 I remember when this site/blog was an example during many industry presentations “can you believe what they have done? ?” But the site had never became stale… After that site, other companies had blog-looking web sites (GE Show). This stage of the marketing development is passing; platforms replaced this approach. Interesting point: more people are on the web, and more marketing money are moving to the web. However, money are moving from the direct and not brand marketing. There is a perception that the internet is not good for brand marketing. Platforms are aware that they do not currently offer much to brand marketers. As a result, recent redesigns offer larger images and more opportunities for “emotional impact”… Social media is also fights decade of brand theory – controlling and repeating the message. The question will probably be answered in the future: can the web has the same branding effect as TV? 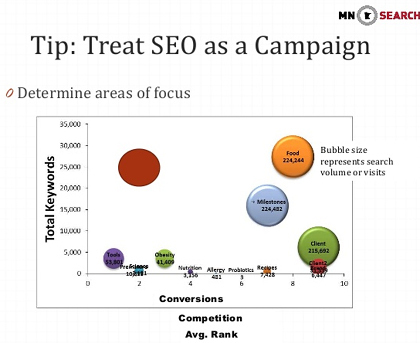 Rick compared the searches in Google and Tumblr, asking the audience which one was more emotionally impactful? Tumblr is trying to be more emotionally impactful and designed for serendipity, unexpected discovery rather than categorization (Pinterest is amazing in categorization). 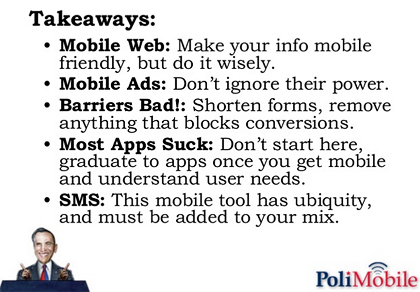 Surprisingly useful information for an average marketer 😉 Curt Prins made an excellent overview of the mobile marketing efforts during the last Presidential campaign. Mobile Twin Cities in general is a good source of mobile insight and a great opportunity to ask industry experts a few questions. Though based on the impression of s+m+c, 99% of accounts initially setup have been setup incorrectly. What also makes sense. 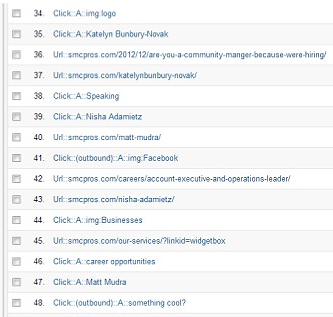 Analytics is a tool that requires knowledgeable people with sufficient time available to set it up correctly. Interesting point on SEO success measurement from Three Deep Marketing too: how to measure SEO activities: compare change in optimized pages versus not optimized pages. Tag manager is generally recommended for large organizations with difficult access to development resources (that is a good description of a typical organization where I work 😉 ). 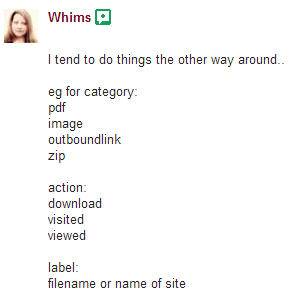 Below are some examples of GA tagging naming conventions. SafeToSend – Eloqua Cloud Connector allowing to check the addresses of the new lists as they are loaded into the system or as prospects type them into the form (cloud component). Not free, but inexpensive, and very attractive. Another interesting lesson was explanation how to get to the HTML of a form (it feels like I am the only one who did not know. but it is still better to ask 😉 ). 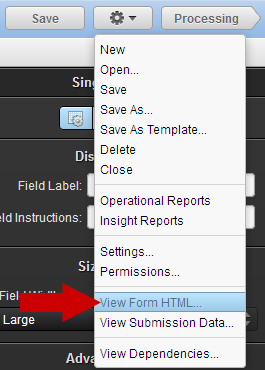 It is possible to see the code of the form in view form HTML area. The HTML can be exported and edited in Dreamweaver to our heart’s content, what can later be uploaded into Eloqua as an uploaded landing page. Actually, not what I expected – better! “People don’t buy what you do, people buy why you do it.” Maybe TiVo could have a better chance if the “Why” would be defined rather then features explained? Founder problem is also thought-provoking. Sometimes, when the company founder leaves, the “why” shifts… and become lost. Walmart is considered an example… Starbucks is another example, until the original founder came back and restored the idea of “atmosphere” – even if it meant to kill a popular sandwich for some time.